M. Emre Celebi received his B.Sc. degree in Computer Engineering from the Middle East Technical University (Ankara, Turkey) in 2002. He received his M.Sc. and Ph.D. degrees in Computer Science and Engineering from the University of Texas at Arlington (Arlington, TX, USA) in 2003 and 2006, respectively. He is currently a Professor and the Chair of the Department of Computer Science at the University of Central Arkansas. 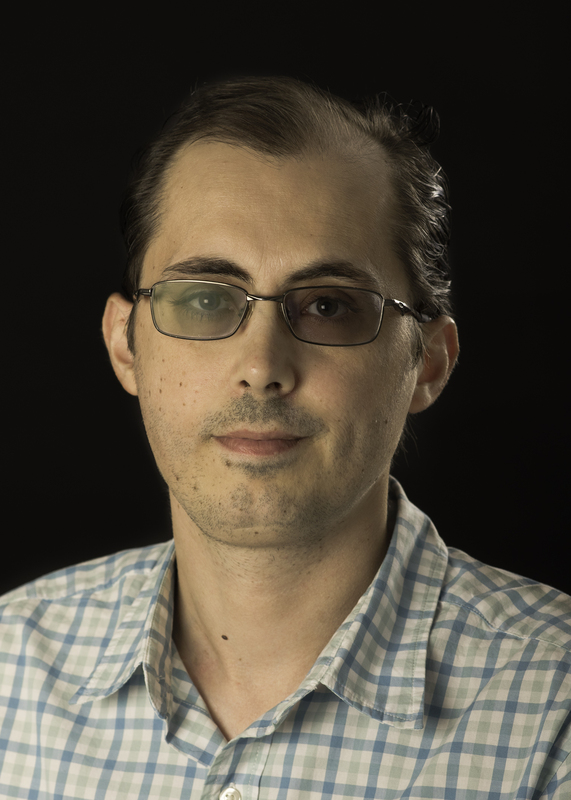 Dr. Celebi has actively pursued research in image processing/analysis and data mining with an emphasis on medical image analysis, color image processing, and partitional clustering. He has worked on several projects funded by the US National Science Foundation and National Institutes of Health and published nearly 150 articles in reputable journals and conference proceedings. Dr. Celebi is an editorial board member of four international journals, reviews for over 110 international journals, and served on the program committee of more than 130 international conferences. He has been invited as speaker to several colloquia, workshops, and conferences, is the organizer of several workshops, and the editor of several journal special issues, books, and book series. He is a senior member of the IEEE and SPIE. A. Katapadi, M. E. Celebi, S. Trotter, and M. Gurcan, “Evolving Strategies for the Development and Evaluation of a Computerized Melanoma Image Analysis System,” Computer Methods in Biomechanics and Biomedical Engineering: Imaging and Visualization, vol. 6, no. 4, pp. 465–472, 2018. A. R. Sadri, S. Azarianpour, M. Zekri, M. E. Celebi, and S. Sadri, “WN Based Approach to Melanoma Diagnosis from Dermoscopy Images,” IET Image Processing, vol. 11, no. 7, pp. 475–482, 2017. K. Shimizu, H. Iyatomi, M. E. Celebi, K. A. Norton, and M. Tanaka, “Four-Class Classification of Skin Lesions with Task Decomposition Strategy,” IEEE Transactions on Biomedical Engineering, vol. 62, no. 1, pp. 274–283, 2015. G. Schaefer, B. Krawczyk, M. E. Celebi, and H. Iyatomi, “An Ensemble Classification Approach for Melanoma Diagnosis,” Memetic Computing, vol. 6, no. 4, pp. 233–240, 2014. Q. Abbas, M. E. Celebi, C. Serrano, I. F. Garcia, and G. Ma, “Pattern Classification of Dermoscopy Images: A Perceptually Uniform Model,” Pattern Recognition, vol. 46, no. 1, pp. 86–97, 2013. H. Zhou, X. Li, G. Schaefer, M. E. Celebi, and P. Miller, “Mean Shift Based Gradient Vector Flow for Image Segmentation,” Computer Vision and Image Understanding, vol. 117, no. 9, pp. 1004–1016, 2013. Q. Abbas, M. E. Celebi, and I. F. Garcia, “Hair Removal Methods: A Comparative Study for Dermoscopy Images,” Biomedical Signal Processing and Control, vol. 6, no. 4, pp. 395–404, 2011. R. Garnavi, M. Aldeen, and M. E. Celebi, “Weighted Performance Index for Objective Evaluation of Border Detection Methods in Dermoscopy Images,” Skin Research and Technology, vol. 17, no. 1, pp. 35–44, 2011. R. Garnavi, M. Aldeen, M. E. Celebi, G. Varigos, and S. Finch, “Border Detection in Dermoscopy Images Using Hybrid Thresholding on Optimized Color Channels,” Computerized MedicalImaging and Graphics, vol. 35, no. 2, pp. 105–115, 2011. H. Iyatomi, M. E. Celebi, G. Schaefer, and M. Tanaka, “Automated Color Calibration Method for Dermoscopy Images,” Computerized Medical Imaging and Graphics, vol. 35, no. 2, pp. 89–98, 2011. G. Schaefer, M. I. Rajab, M. E. Celebi, and H. Iyatomi, “Colour and Contrast Enhancement for Improved Skin Lesion Segmentation,” Computerized Medical Imaging and Graphics, vol. 35, no. 2, pp. 99–104, 2011. H. Zhou, G. Schaefer, M. E. Celebi, F. Lin, and T. Liu, “Gradient Vector Flow with Mean Shift for Skin Lesion Segmentation,” Computerized Medical Imaging and Graphics, vol. 35, no. 2, pp. 121–127, 2011. M. E. Celebi, G. Schaefer, H. Iyatomi, W. V. Stoecker, J. M. Malters, and J. M. Grichnik, “An Improved Objective Evaluation Measure for Border Detection in Dermoscopy Images,” Skin Research and Technology, vol. 15, no. 4, pp. 444–450, 2009. H. Zhou, G. Schaefer, A. Sadka, and M. E. Celebi, “Anisotropic Mean Shift Based Fuzzy C-Means Segmentation of Dermoscopy Images,” IEEE Journal of Selected Topics in Signal Processing, vol. 3, no. 1, pp. 26–34, 2009. M. E. Celebi and A. Aslandogan, “Robust Switching Vector Median Filter for Impulsive Noise Removal,” Journal of Electronic Imaging, vol. 17, no. 4, 2008. M. E. Celebi, H. Iyatomi, W. V. Stoecker, R. H. Moss, H. S. Rabinovitz, G. Argenziano, and H. P. Soyer, “Automatic Detection of Blue-White Veil and Related Structures in Dermoscopy Images,”Computerized Medical Imaging and Graphics, vol. 32, no. 8, pp. 670–677, 2008. M. E. Celebi, H. Kingravi, H. Iyatomi, A. Aslandogan, W. V. Stoecker, and R. H. Moss, “Border Detection in Dermoscopy Images Using Statistical Region Merging,” Skin Research andTechnology, vol. 14, no. 3, pp. 347–353, 2008. H. Iyatomi, H. Oka, M. E. Celebi, K. Ogawa, G. Argenziano, H. Soyer, H. Koga, T. Saida, K. Ohara, and M. Tanaka, “Computer-Based Classification of Dermoscopy Images of Melanocytic Lesions on Acral Volar Skin,” Journal of Investigative Dermatology, vol. 128, no. 8, pp. 2049–2054, 2008. H. Iyatomi, H. Oka, M. E. Celebi, M. Hashimoto, M. Hagiwara, M. Tanaka, and K. Ogawa, “An Improved Internet-Based Melanoma Screening System with Dermatologist-like Tumor Area Extraction Algorithm,” Computerized Medical Imaging and Graphics, vol. 32, no. 7, pp. 566–579, 2008. M. E. Celebi, A. Aslandogan, and W. V. Stoecker, “Unsupervised Border Detection in Dermoscopy Images,” Skin Research and Technology, vol. 13, no. 4, pp. 454–462, 2007.